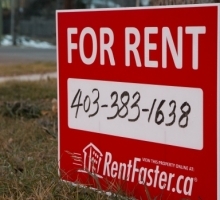 Last month, Mayor Nenshi told the media that he has not raised his rent in 4 years and commented that landlords need to stop ‘gouging’ their renters. “And so I am reaching out to landlords and saying, ‘Come on, this is not a get-rich-quick scheme. Figure out a way that you can continue to provide housing and get a decent return without gouging your tenants,'” he said. It is admirable that Mayor Nenshi has not raised his rents for four years and still earns a “reasonable profit”. It would be interesting to know which year he purchased his rental property and the price he paid. We recently spoke with an investor who has owned her Killarney duplex since the 70’s. She has far greater flexibility in the rent she charges than someone who purchased a similar property in the area just last year, who could very well be operating the property in a cash-flow negative position. Perhaps Mayor Nenshi bought his rental(s) before the city’s housing boom? Additional differences exist amongst rental investors, which weigh on their monthly rent decision making process. An investor earning over $200,000 per year (as our Mayor does) with relatively high job security, can afford to keep his or her rents stable for a 4-year period. What about the investor who has an increasing amount of debt, property tax and other bills rising and potentially a level of insecurity at his or her primary place of employment? The generosity the Mayor provides is not possible for many landlords to offer. Instead of asking landlords to keep rents stable, we feel that the Mayor should do all in his power to encourage people to invest in the rental industry. This will ultimately create a greater supply of rental homes, leading to greater competition amongst landlords and eventually to a more balanced market. We live in a city where house prices have escalated dramatically over the last decade. If house prices rise, rents must also move higher. Instead, if rents stay the same (or increase at a slower rate) as house prices increase, two things happen: First, more people will be looking for rentals, thereby making less units available. Second, investment in new rental units will drop dramatically, further tightening the rental market. 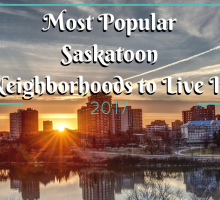 We believe this is what happened during 2009-2011 (investors pulled back on projects, buying additional rental units, etc, and when people flocked back to the city – the market was under invested in rental units and homes in general). Rents must increase and try to keep pace with housing prices, so that new investment occurs, which eventually leads to a greater supply of rentals so that rents can stabilize. If all landlords displayed the generosity our Mayor has shown to his tenants over the last 4 years, investment likely would have dried up and there would actually be less rental suites in Calgary than there are today. What the media fails to report and what the Mayor does not seem to realize is that there are currently lots of rental properties on the market. The number of active rentals currently on RentFaster.ca has not been this high since early in 2011. 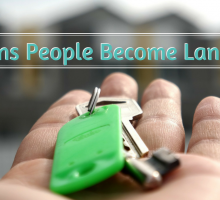 Many landlords have had to lower their rents in recent months and/or carry vacant units for long periods of time. We have not witnessed the gouging that the Mayor insists is readily occurring. Renters searching in most price segments of the market have a lot of choice, and landlords are having to compete to fill their vacancies. If they attempt to gouge prospective tenants, then their place will remain vacant. Where landlord competition is still lacking is at the lower price segments in the market; that is, one bedroom apartments, close to the core for under $950, two bedrooms for under $1200 and the three bedroom house/duplex or townhouse for around $1500. If prospective tenants looking for a home within these price ranges have a pet, smoke, or have negative credit history, their search becomes even more difficult. Why is there a lack of competition at the lower price ranges? It seems that it is no longer affordable, in this city, to build and invest in units that can be rented for these prices? Also, many of these types of suites have been permanently removed from the market through condo conversions and tear downs, etc. Unfortunately, high level economic growth has some indirect consequences. Calgary has an affordable housing problem. When RentFaster.ca launched in 2003, we used to see one bedroom apartments renting for $600-$700, and two bedrooms for under $1000. Now we rarely see a one bedroom advertised for under $1000 or a 2 bedroom for under $1200. As of October 30th, the average price of a one bedroom Apartment/loft/condo active on RentFaster.ca was $1421. The average price of a two bedroom Apartment, loft, condo – $1746. In CMHC’s recent report, they state the average two bedroom price is $1290. Over the last few years rents have risen, investment has occurred, and now there are more active rentals than there have been in the past 3 years. However, the majority of the new supply is situated in the higher price range for higher-income individuals. The prevailing situation in Calgary requires attention from all stakeholders, including municipal politicians, city planners and developers. Together, they need to work towards ensuring that a diverse supply of rentals is available in Calgary. Otherwise, we will continue to experience an unbalanced and uncertain housing market. When CMHC calculates averages and their vacancy rate they only survey “….privately initiated structures with at least three rental units, which have been on the market for at least three months.”. This technique ignores much of the secondary market, ie. individually owned condos, houses for rent, main floors, basements, shared accommodation, etc. The RentFaster.ca averages, provide a snapshot and indication of what is being advertised in the market as of today.